For my birthday last year, you gave me the most exquisite green vase. It’s not something I would’ve bought myself but I fell in love with it immediately. 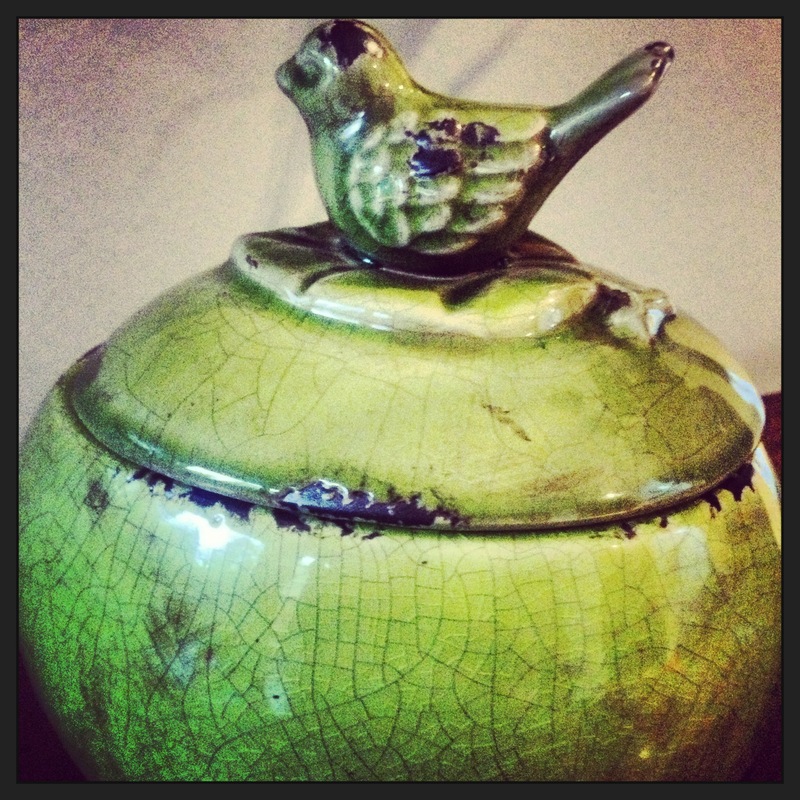 What’s particularly special about it is the beautiful bird perched on the top of the lid. It sits on the table in my front entrance hall and is a daily reminder of how precious friendship and life is. Every so often, I open the vase and look inside. I don’t know what I’m expecting to find in there. It’s empty. You’re gone. It’s been 8 months already. Unlike the empty vase, I’ve been filling up inside with news. I have so many stories to share and issues that need discussing and problems which need your advice… but you’re not there. You’re still gone. Some days I feel like I’m bursting and only you will understand. Some days I worry that there’s going to be too much news and I won’t know what to do with it all. I need to tell you and I can’t move on unless you know what’s happening and can tell me that it’ll all be okay. But there’s a silence…an emptiness. I opened the vase up tonight, and looked inside. It’s still empty. I miss you so much. I love my vase. This entry was posted in My Feelings, My Friends and tagged conrad mors, death, friendship, missing by Bo. Bookmark the permalink.